The Art Institute of Colorado is college with 1794 students located in Denver, CO. Describe the type of student who should not attend The Art Institute of Colorado and explain why. The types of students that should not apply to The Art Institute of Colorado are those who don't care about their grades or education. Those who are not motivated. Describe the type of student who should attend The Art Institute of Colorado. Why? The students that should attend The Art Institute of Colorado are those that are hard working, strive to be the best that the can be, enthusiastic, and creative. What is a typical The Art Institute of Colorado student like? Describe the type of person that should attend The Art Institute of Colorado. You wount see any person in art institute that look alike, they are all so different, and have their own stiles in art, its the place where you express what is inside you on the outside. What are the top 3 reasons someone should attend The Art Institute of Colorado? 1) if you think you want to do something amazing in life 2) you want all the world to see what you can do 3) make people happy, buy brining them a piece of your world. What was a typical The Art Institute of Colorado student like in high school? Describe the type of person that should attend The Art Institute of Colorado. At The Art Institute of Colorado, you become part of a vibrant, energetic learning community where you are supported and encouraged to do your best. It's a community where we celebrate diversity. It's a community bound by mutual respect for individuality and creativity. The Art Institute of Colorado is located in Denver, one of America's great cities and a location sure to inspire your creativity. 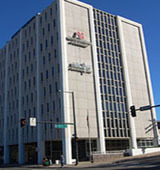 The Art Institute of Colorado is part of The Art Institutes, a system of schools with more than 40 locations throughout North America. What are the top 3 things that students do for fun at The Art Institute of Colorado? Campus housing is available for undergraduates. Housing deposit : $300.00. Housing deposit is refundable in full if student does not enroll.. Freshman allowed to have car. No pets. 13% of students live on-campus. Facilities: teaching restaurant open to the public at the international school of culinary arts. The average student pays $26,001 for tuition, fees, and other expenses, after grants and scholarships. Total stated tuition is $17,532, in-state and on-campus, before financial aid. Want more info about The Art Institute of Colorado? Get free advice from education experts and Noodle community members. Is there a cinematography course? Yes, according to the Art Institute's website, their Denver campus does offer a program in digital film. To learn more, call (303) 837-0825 or visit the school's website. First, the good news: there are so many different ways to get financial aid to support yourself.